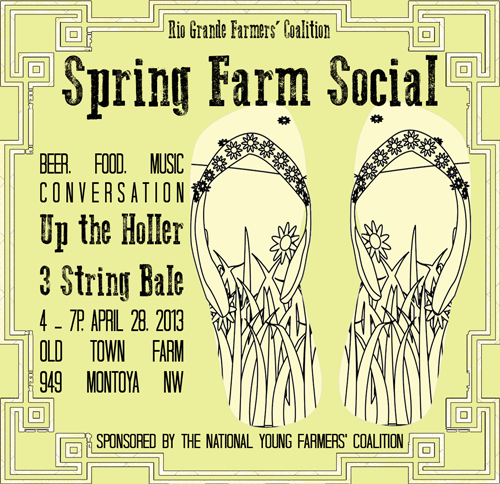 Two amazing events are coming up for young farmers! Want to organize something in your area? 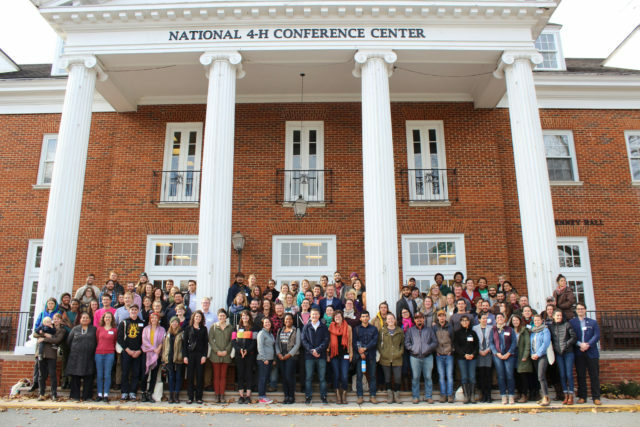 Get in touch with us (organize@youngfarmers.org) – we’d love to work with you on it. 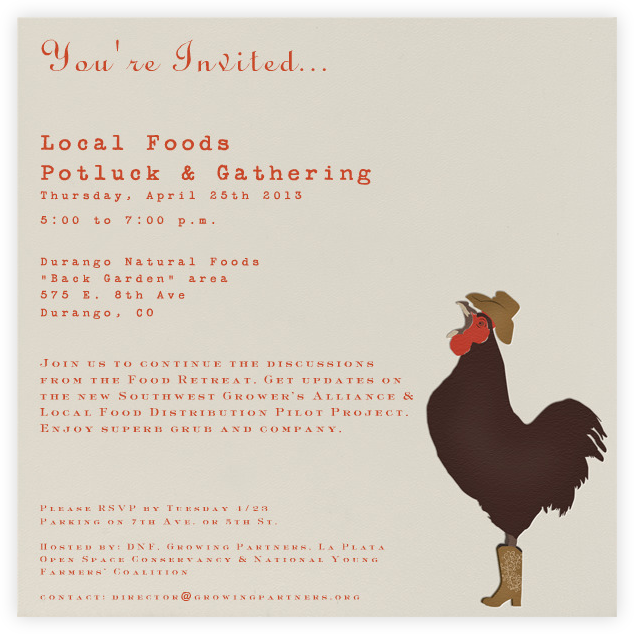 This Thursday, Durango, CO will host a local foods potluck and gathering to discuss the Southwest Growers Alliance that’s been brewing up a lot of excitement in area farmers. Those who come will talk about the local food distribution pilot project while enjoying some good food (and good music) themselves! The event is open to all. Click here for more info! Then on Saturday, the Rio Grande Farmers Coalition is hosting its first Spring Farm Social in Albuquerque, NM on Enjoy good music, good food, and good company! The event is free, but RSVP is required. Click here for more info. 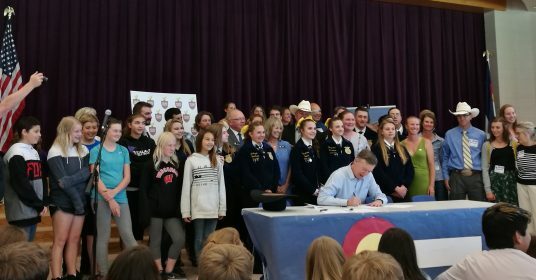 Tags: albuquerque Colorado Colorado River Basin Durango events New Mexico potluck Western states Western U.S.
One young farmer is thankful for crop insurance, could it be right for you?